Love the watches (got 3). Reasonably priced. Love it. 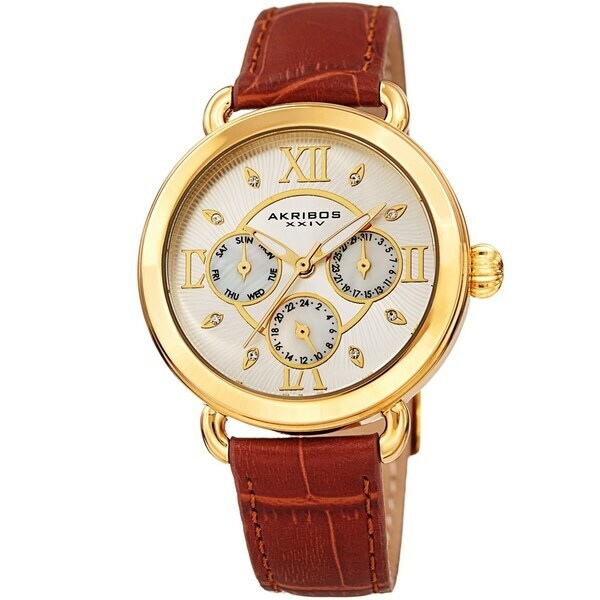 This elegant women's timepiece from Akribos XXIV features a polished case with a rounded bezel. The dial is stamped with a rich swirled pattern and three mother-of-pearl sub-dials. Each of the markers is hand-applied, which also includes sparkling Swarovski crystals. It is powered by a quartz movement and adorned with a leather strap.